Today I noticed the following update in the Message Center of my Office 365 tenant. 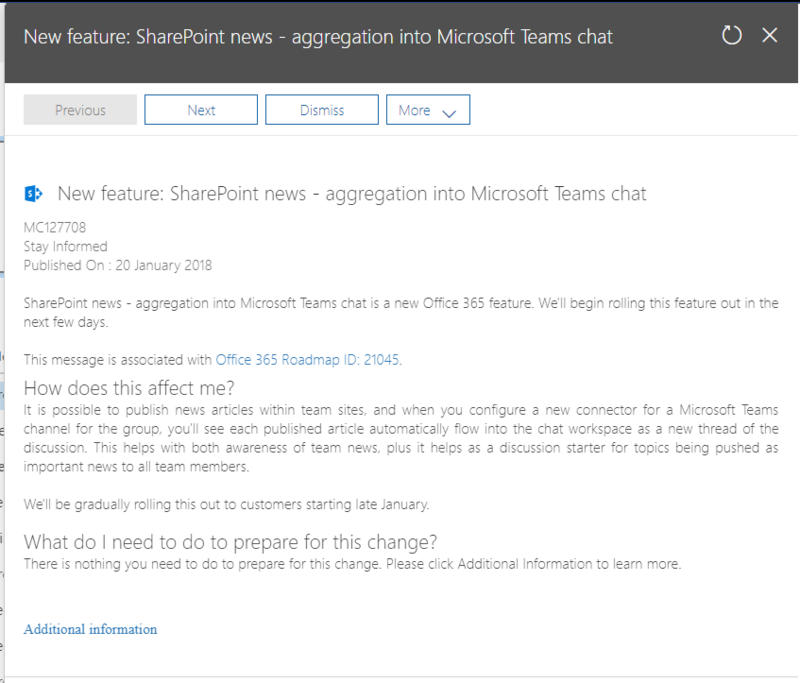 When clicking through to the Additional information you will see how to add SharePoint News Articles in Microsoft Teams. Where recently, I’ve had the feeling that each team is a separate something. Also, each modern SharePoint site seems to be a bit of a standalone site. 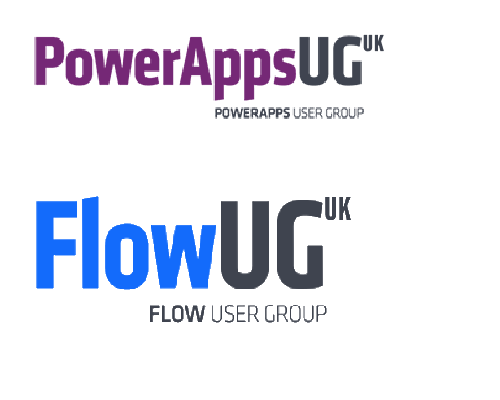 Things don’t always connect up nicely resulting in the user experience moving a bit too much towards a technical solution rather than a user solution. I always like to put my user experience first and that isn’t always easy. With these kind of connectors (there should still be more following) I do get the feeling that things are improving as data can be shared between the different applications. So in this example the authors of the news can create their news articles in SharePoint while the users don’t need to leave Microsoft Teams. 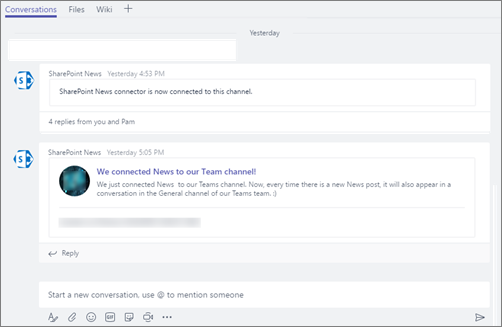 Maybe a next step could even be to create the news articles in Microsoft Teams. ‹ Microsoft Teams Education – How to keep your students quiet? 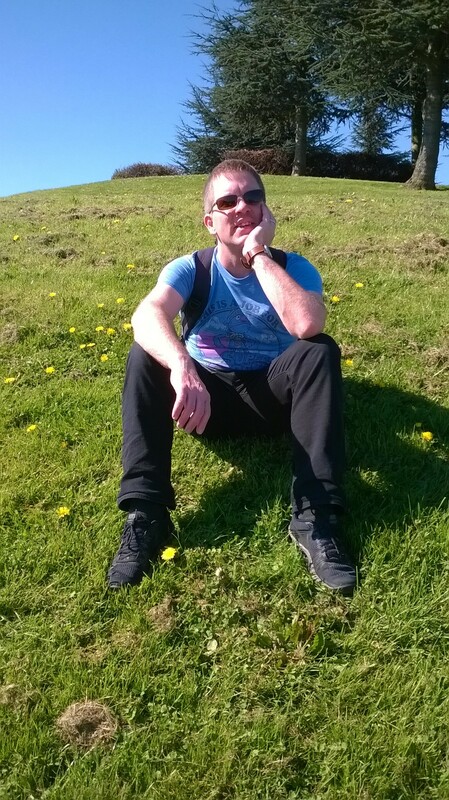 Pieter – have you by chance tried adding this connector recently to a new team? I’ve attempted to install and receive a “Something went wrong” message each time. Wondering if the connector has been depreciated or left incompatible with new Teams updates. I just tried it and I’m seeing the same.